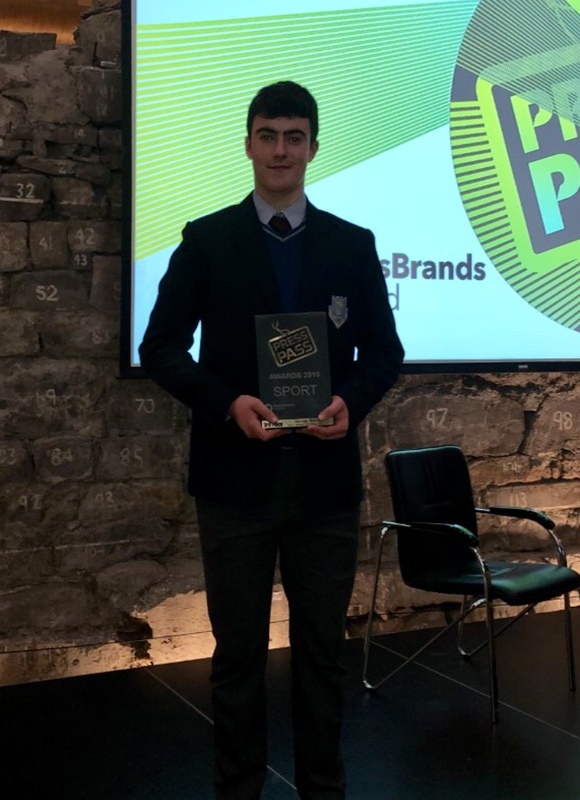 Congratulations to TY student Shane Roche on his outstanding achievement at this year’s Press Pass Awards Ceremony, held today in Dublin. Shane was awarded Third Prize for his very personal account of the journey of South African weight lifter Mona Pretorius. The piece entitled ‘Mona Pretorius, Mind Games.’ was praised for its originality by Group Political Editor of Independent News and Media, Kevin Doyle who presented Shane with this prestigious Award. Each year NewsBrands roll out the Press Pass Programme that encourages students to experience journalism in its many different forms.